Newbie here, here's my 10 year old RG470jb, kinda like a Timex watch- takes a lickin' and keeps on tickin'! 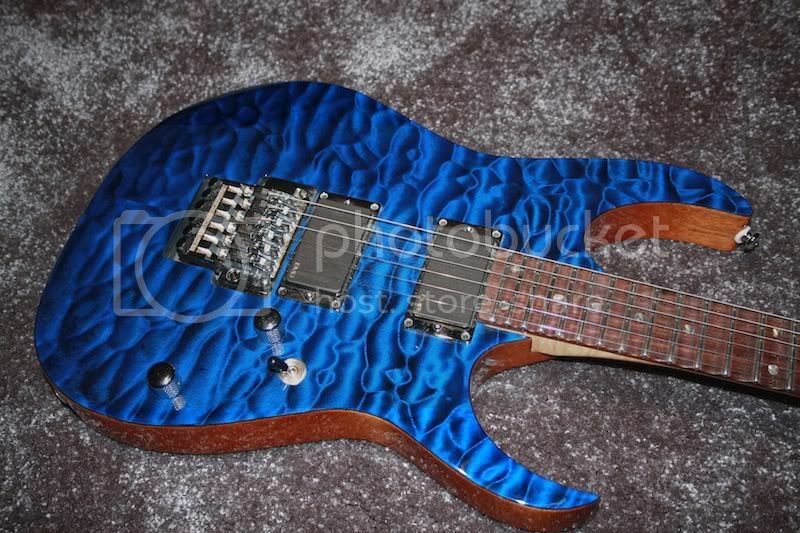 ibanez I think would have more takers if they put the edge/ lo pros back on their high end guitars. Well, these are mine. 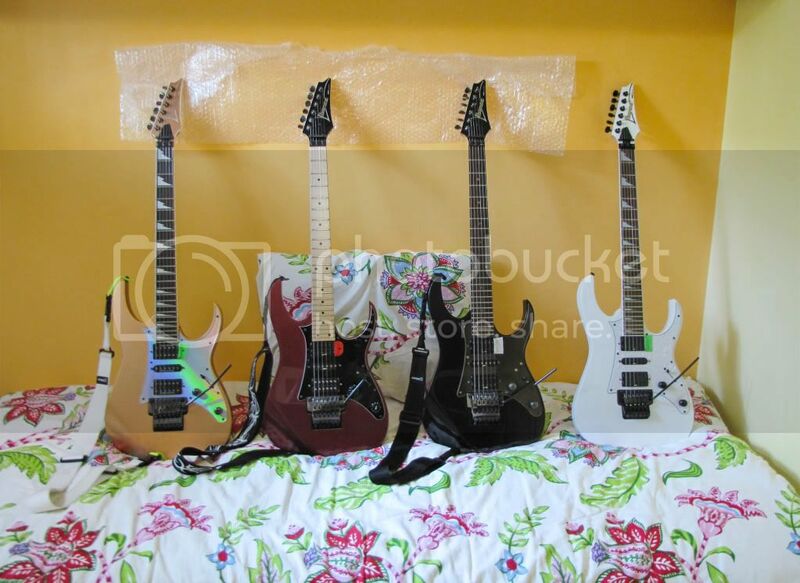 From left to right RG550LTD '98, RG550SA '02, RG550EX '02, RG350DX '09. 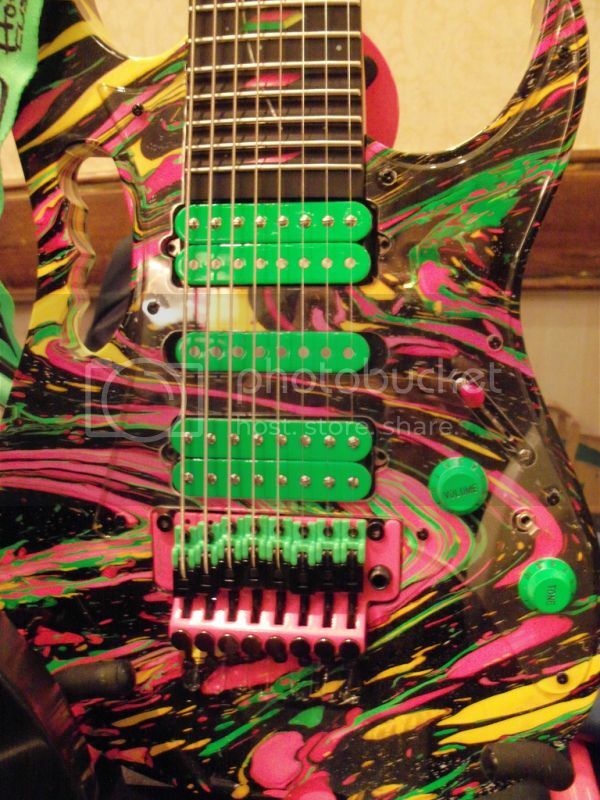 Well, i said, i won't put that on, because all the people will say "You're trying to be like Steve Vai."..... and it happened first time, then second and so on......And i said "People F@ck Yourself!" (Like Steve.....well, maybe not) and put that tape on. Last edited by ocxcxd on Sun Oct 28, 2012 1:36 am, edited 2 times in total. what I don't understand is that he has tape on his Flo's, but they all have sustainers. The sustainer he uses has no bobbin for the strings to get caught under. What's its purpose?